A leisurely Easter Sunday excursion. My mother and I got up early (especially seeing that the clocks sprung forward) to play Easter bunnies. 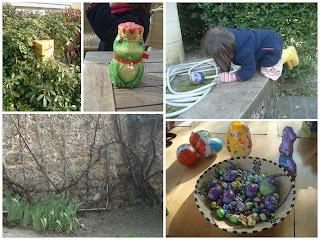 It was pretty cold, and though the garden's big, it wasn't easy to find enough challenging locations for the dozens of little chocolate eggs well out of the dog's reach. My fingers were numb when we went back in. Except for a few name-tagged presents and sweets, the sub-18s divvied up the loot equally between themselves. My family got me the cutest Lindt frog (can't find it online, but here's a similar product) - I don't know if I'll be able to make myself eat him (Nate has less compunctions). 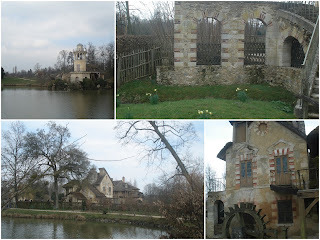 We then headed off to a part of Versailles I hadn't visited before: Petit Trianon and the Hameau de la Reine. 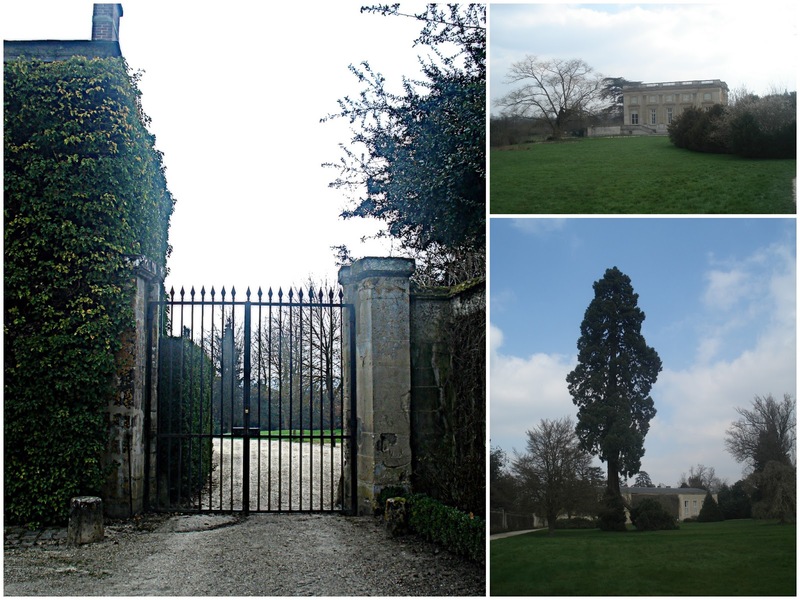 Petit Trianon is a French royal chateau from the 1760s later used by Marie Antoinette as a retreat of sorts from Versailles court life and restrictions. 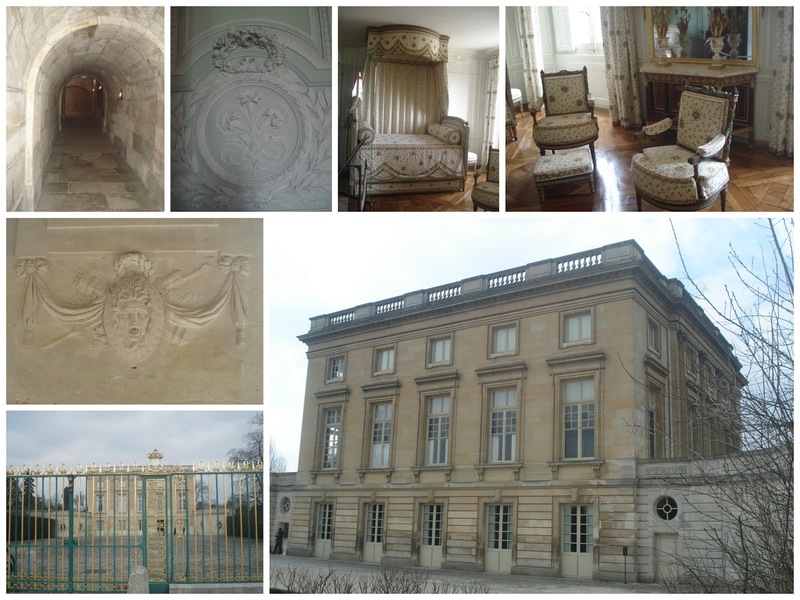 I enjoyed both Antonia Fraser's biography of the queen (which I read back in 2009 while pregnant with T) and the Sofia Coppola movie inspired by the book - so it was interesting to see Marie Antoinette's original rooms. There are a few multimedia rooms in the museum which I didn't have a chance to check out in detail since the kids soon clamored to explore the gardens and grounds. 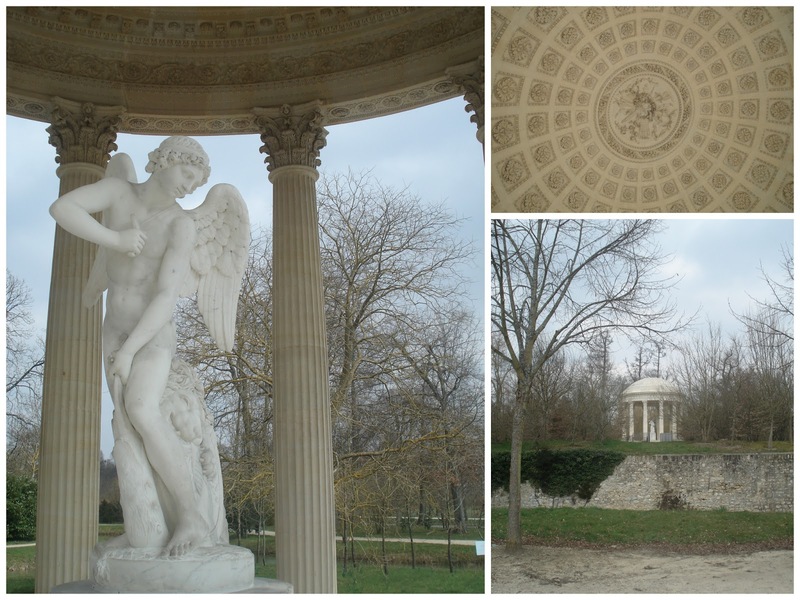 Outside, we first took a closer look at the Temple de l'Amour, built in 1778. A brewer had built it [the house] early in the "period" craze, a decade before, and there was a story that he'd agreed to pay five years' taxes on all the neighboring cottages if the owners would have their roofs thatched with straw. Perhaps their refusal took the heart out of his plan to Found a Family - he went into an immediate decline. His children sold his house with the black wreath still on the door. Americans, while occasionally willing to be serfs, have always been obstinate about being peasantry. 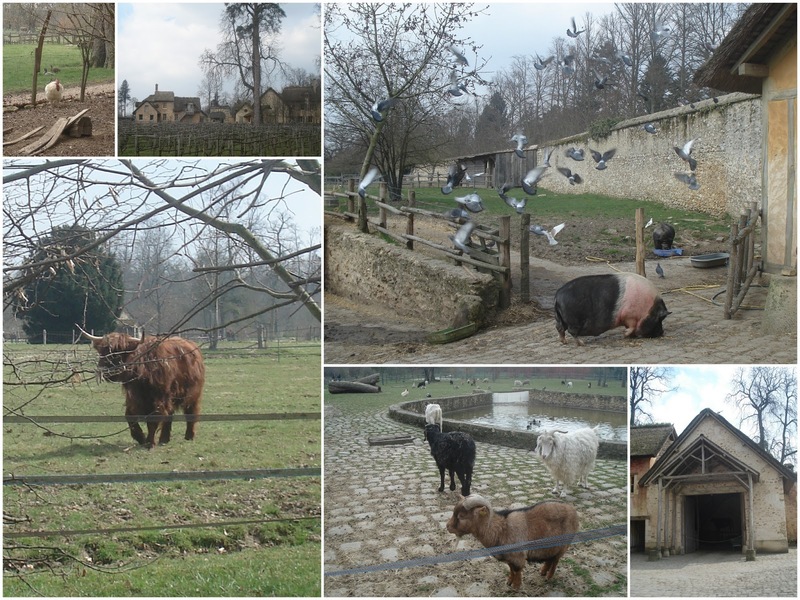 Next to the hamlet is a little farm, also initially dating back to the late 1700s. T liked the variety of animals (goats, sheep, donkeys, fowl), and Nate joked that the pot-bellied pigs started off as teacup pigs that grew up to be too uncute for their owners. After a good two hours on the grounds, we headed to the exit by way of l'orangerie de Jussieu. After dinner we watched Hunger Games, which Sister 3 received as an Easter present. Now, of course, I'm spending way too much time reading up on the plotlines I'd forgotten on the series' wiki.